Many stock media agencies offer stock footage. Some are cheap. Others are expensive. But, one of the cheapest stock videos offered in the market are from iStock. iStock by Getty Images is popularly known for its high quality images, but the stock also offers royalty-free and exclusive video clips. Its currency is in the form of credits, which can be used to purchase any file (including videos) from any collection. In addition, all file sizes are offered at the same price. You can download any file at any time with iStock credits. Although the offer starts at 3 credits for $33, one Essentials video costs 6 credits and the Signature footage costs 18 credits. The Essentials collection provides the best value for tight budgets. It includes standards stock videos that gets the job done. On the other hand, the Signature collection features the best video clips that you won’t find anywhere else. The best thing about purchasing a larger credit pack from the stock site is the increasing number of savings that goes with it. They also never expire, so they will always be there whenever you need them. You can purchase one iStock credit for $12 only. If you purchase 3, you can get the credits for 11 each. The larger the pack, the cheaper is the price per image. You can purchase 300 credits for as low as $8 per credit. iStock has a huge collection of royalty-free, B-roll, HD video, and stock footage – all of which curated. Popular categories include aerials, abstract, technology, sports, business, family, nature, animals, and time-lapse. You can also explore other categories if you are looking for other subjects. You can use the stock site search bar to find the perfect stock video clips easily and quickly. Cheap stock video footage downloaded at iStock includes a standard license, which allows you to use the clip in any creative project for as long as you like. It also comes with a $10,000 legal guarantee. When you download with credits, you can get additional rights to use the image in many other ways by adding an extended license. 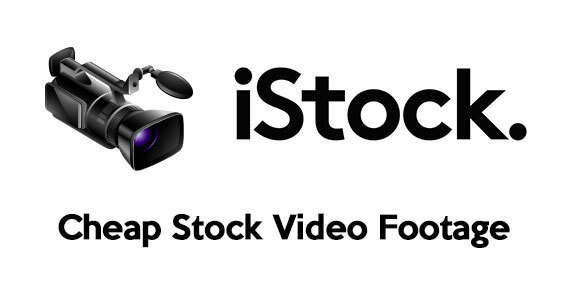 Cheap stock video footage in iStock is only available via credits. The stock site currently has no subscription that offers video clips. Nevertheless, downloading with credits has its own merits. It gives you huge savings without making a commitment. You can purchase any stock footage you need to complete your video production. Most of all, you still get a legal guarantee that will protect you from copyright issues that may arise in the future. If you are looking for cheap stock video footage, iStock is one of the cheapest in the market. It offers incredible stock videos at ridiculously great prices.